Former Mavin act Reekado Banks is a year older today. The singer has since taken to social media to share some of the gifts he received on his big day with cakes as one of them. 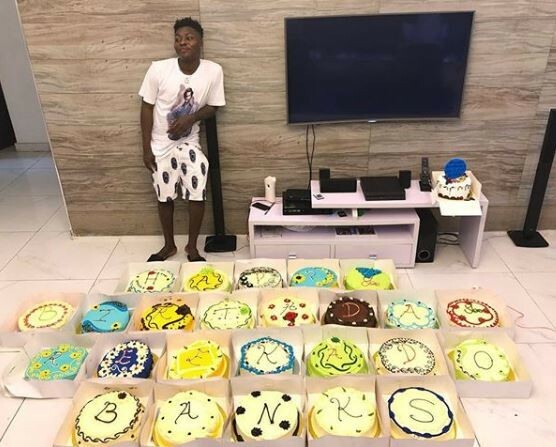 Reekado was gifted with 25 cakes by his elder brother who is also his manager, to mark his 25th birthday.